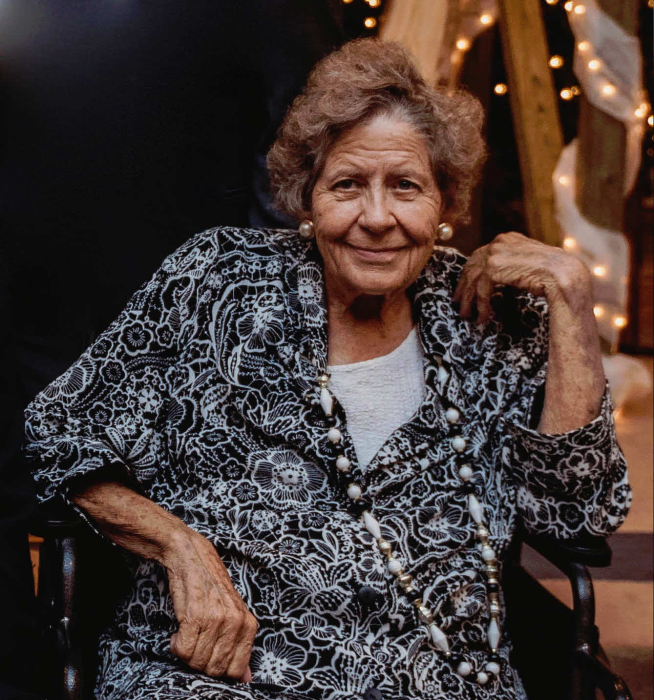 Obituary for Hazel Mae (Carroll) Owen | Wheeler Mortuary of Portales, Inc.
Funeral services for Hazel Owen, 79, of Portales, will be at 2:00 PM, Tues., April 2, 2019 at the Calvary Baptist Church with Rev. Brad Morgan officiating. Burial will follow in the Portales Cemetery with Danny Victor, Darrell Victor, Jody Victor, Kevin Victor, Donovan Finley, James Golden, Chase Gossett, Grant Gossett, Derek Gossett, Taylor Owen, Travis Owen and Tyler Owen serving as pallbearers. Hazel Mae Owen was born July 2, 1939 in Portales, to the home of Pearl Luella (Francis) and Odis Wainright Carroll, and died Mar. 29, 2019 in Clovis, NM. Mrs. Owen received her education in the Portales schools. On June 2, 1956, she was married to Billy Lynn Owen. Shortly after their marriage, they moved to Albuquerque, where they lived until 1966. During that time she worked as a telephone operator for about a year, but the job she enjoyed the most was in the accounting department at Mountain Bell Telephone. In 1966, they returned to Portales to make their home where she helped her family with chores on the family farm and dairy, and made a home for her husband and seven children. Family time was extremely important in her life, and she loved planning and hosting family gatherings. Each year she wanted all of the family to gather at her home for New Years Eve. Among her other favorite things was having tea parties with her sisters, daughters and grandchildren. Hazel was close to her sisters, and enjoyed playing Canasta with them as well. Hazel loved to do yard work, and had an amazing yard and garden. She was a faithful Christian, and truly loved and enjoyed her Calvary Church family. She is survived by Billy Owen, her husband of more than 62 years of their home; two sons and daughters-in-law, Billy and Sheila Owen, Jr. and Jeff and Kayla Owen of Portales; four daughters and two sons-in-law, Debbie and Kerry Victor of Rogers, NM, Teresa Naggs of Roswell, NM, Sandi and Mike Golden of Arch, NM and Laura Owen of Portales; 22 grandchildren and 34 great-grandchildren; a brother, Charles Carroll of Portales; and three sisters, Mary Lee of Floyd, NM, Beverly (Gary) Tapley of Alamogordo, NM and Josephine Taylor of Eagle River, AK. She was preceded in death by her parents, a brother, Joseph who died as a small child, an infant sister, Leola Carroll and another sister, Luella Ford, two grandchildren, Allison Finley and Bill Naggs and a daughter, Bobbi Mongar who died Dec. 25, 2018.